Medical Systems for Industry represents equipment that will manufacture catheters. 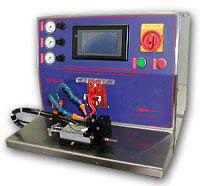 From R&D lab tippers, 1-Up catheter tipping machines, 2-Up production catheter tippers, catheter drilling for manufacturing models and fixtures to fully automatic catheter manufacturing machines. 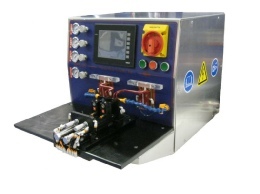 These catheter tipping machines are built with a production environment in mind, based on our background working with this equipment on the factory floor. These catheter tipping machines have optimized the right amount of power for a tipping operation. 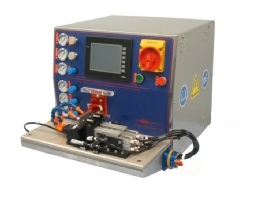 Enough power to give sufficient catheter manufacturing throughput, and not too much which would necessitate having to use the low end of the power band or detune the equipment. 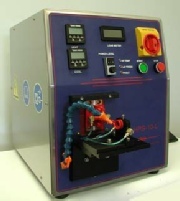 The control systems for these catheter tipping machines are more sophisticated than what is supplied by other vendors. The sliders are high quality, the RF coils are very robust, they will not burn out.